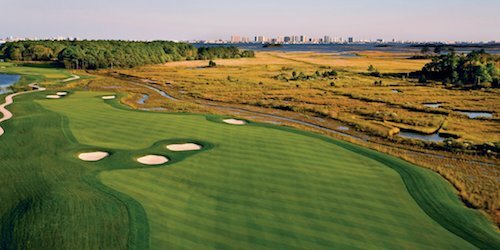 Master your game and save BIG in the process by playing the following championship courses: River Run, Bear Trap Dunes & Bayside Resort. *Valid year round. Price based on double occupancy traveling weekdays in April. Price will vary based on dates, course and accommodation selected. Not valid with any other specials. Certain restrictions apply. Bayside Resort Golf Club reserves the right to change price and offer at anytime. Prices and offer are subject to change without notice. GolfTrips.com is not responsible for errors posted in this golf package.